Join us for an exclusive screening of Denise Scott Brown’s Soane Medal Lecture. In this one hour documentary, Denise Scott Brown narrates the early life experiences that shaped her later practice, illustrating the narrative with her own largely unseen photographs. This lecture was commissioned by Sir John Soane’s Museum, pre-recorded in Scott Brown’s home in Philadelphia, and originally shown at an event to celebrate Denise Scott Brown’s 2019 Soane Medal Award. 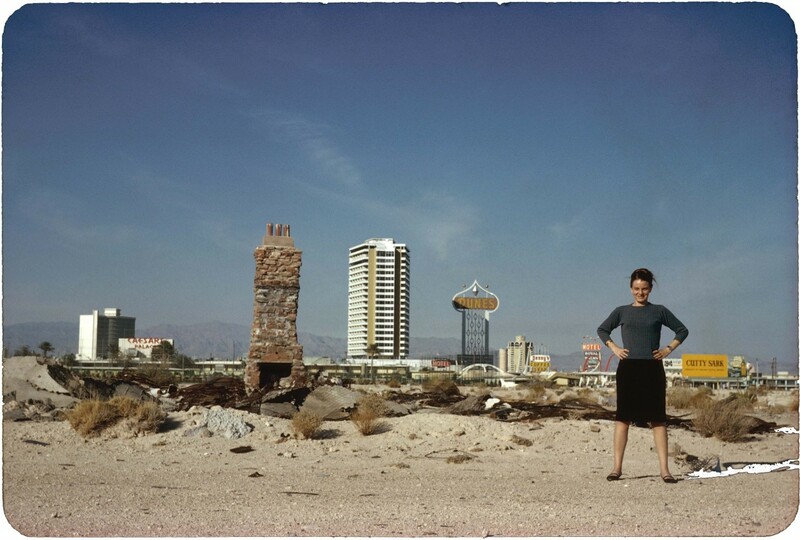 Image credit: Denise Scott Brown in front of The Strip, Las Vegas, NV, US, 1966, Photo by Robert Venturi, courtesy of Venturi, Scott Brown and Associates, Inc.
Posted on February 5, 2019 February 5, 2019 by membership	Bookmark the permalink.